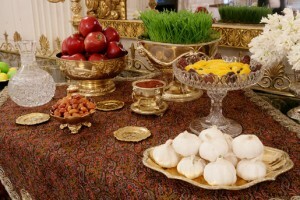 A traditional Haft Sin table celebrating Nowruz, the Persian New Year. A look at the ancient equinox celebration, known to us as the Spring Equinox, and the beginning of the year in the Persian calendar. People from diverse ethnic communities and religious backgrounds have celebrated this New Year – known as Nowruz or Norooz – for thousands of years. Rev. Mitra Jafarzadeh is the full-time minister at St. John’s Unitarian Universalist Church in Cincinnati.